When excess moisture affects your home, a mold infestation can also quickly start. Contact SERVPRO right away for water damage remediation. 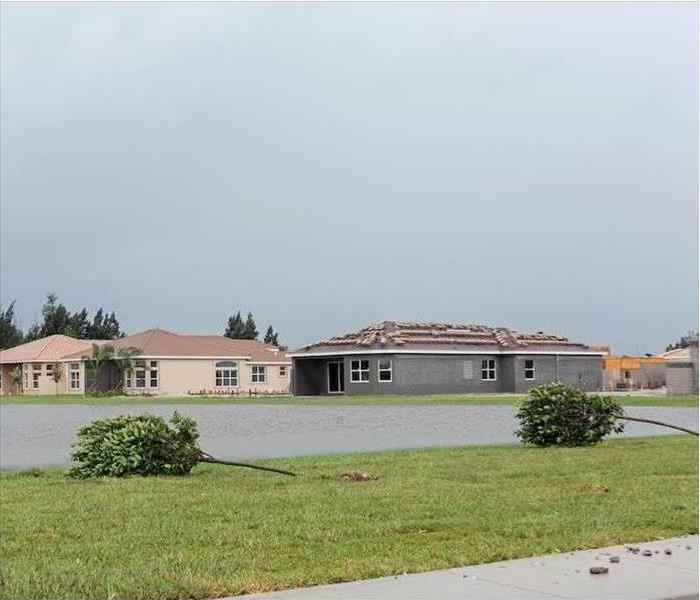 At SERVPRO, we want to leave our customers' properties on Merritt Island not only restored to preloss condition but also protected from secondary damages that might otherwise develop. When water finds its way to areas of your home where it can harm structures and contents, we know to worry about other issues, also. Houses can become saturated with moisture that activates dormant microbes, but our water cleanup services on Merritt Island keep this from becoming a problem. When a SERVPRO team works on your home, you can trust our IICRC training. We understand the different outcomes that lost water makes possible, and we guard against these. Microbes exist in profuse numbers inside the cleanest of houses, with only the presence or absence of water making the difference between a residence infested with active mold or one without any signs of microbial growth. Cleaning out and eliminating items that hold water and keep your home damp helps eliminate the risk to your property. Air drying many items outdoors on sunny days can safely reduce the amount of moisture to within reasonable limits in addition to killing microbes present on the surface. When conditions within your house become murky and seem filthy, SERVPRO's technicians can still restore things “Like it never even happened.” We have the latest in technological advancements among our equipment, but we continue to rely on manual labor and the bucket-and-shovel method in removing the worst messes from your home. No job is too small, nor too big for SERVPRO, and our training gives us the skills we need to restore houses suffering from the worst messes possible. Water cleanup also stops the damage from spreading into areas that remain dry at our arrival, which means your restoration costs stay manageable. When lost water incidents occur, your entire home faces unnecessary risks of damage. We ensure that things get back to normal again, fast and efficiently, so you can move forward without experiencing any long-lasting effects related to the incident. SERVPRO of Central Brevard helps those living in the Pineda, Rockledge, and Cocoa Beach areas, as well as many other locations nearby when they need water removal and other restorative services to protect their property. Call us at (321) 638-4947 for fast service, 365 days a year. Click here for more information about the city of Merritt Island. When Your Cape Canaveral Diner Is Hit With Flooding, Our Crew Is Here To Help! We are ready to mitigate any size water loss issue when you need us. Florida is no stranger to wild weather any time of year, and flash floods can bring water into a home or business with little warning. As devastating as flooding is for a home, it is just as severe for a business as it can affect the revenue and also the livelihoods of the owner and employees. When SERVPRO received a call to mitigate commercial flood damage in a Cape Canaveral diner, we arrived within hours of the initial call to begin cleanup. We know in a water loss situation the timer starts ticking on saturated items and they need to be dried as soon as possible for the best chance of restorability. In the case of this breakfast diner, water entered through a damaged seal around the front entrance doorway and covered the front of the restaurant in sediment and water. Extraction is more than just soaking up standing water. Our technicians do several passes over the same area with extraction wands to pull up as much water and debris as possible. The more thoroughly it is removed, the faster the drying process goes. The cement flooring has recently been refinished and had a good seal on it so very little beyond drying needed to be done. Tables and chairs were moved to a central location for the legs to dry while the flooring and hostess area in the front was dried using air movers and dehumidifiers. We know restaurants are held to particular sanitary standards by the health department, SERVPRO technicians ensure their cleaning methods with our professional formulas are thorough and meet those standards, so there are no issues with the diner reopening for business. We offer general contracting as part of our building services and were able to recommend to the owner the type of repair needed on the entrance to inhibit water from entering the property as easily. Commercial water damage can happen any time, and that is why SERVPRO of Central Brevard has emergency response teams available 24-hours a day by calling (321) 638-4947. We are ready to mitigate any size water loss issue when you need us. 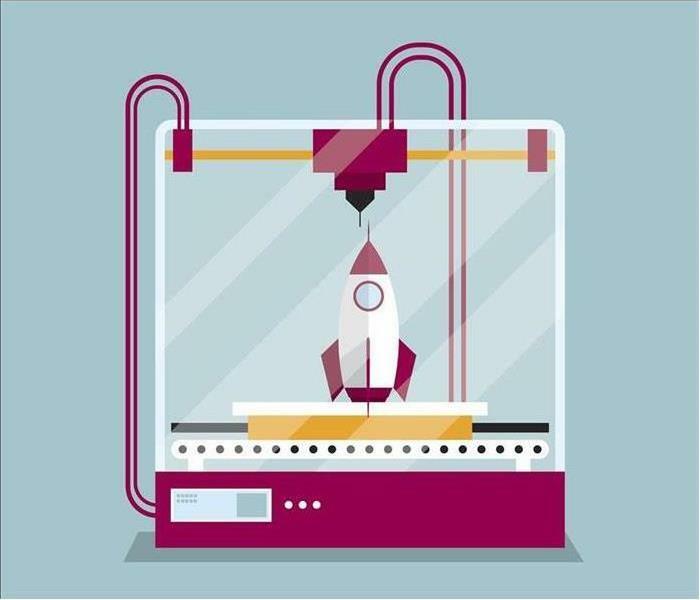 Click here for more about Cape Canaveral. Where to Start With Cocoa Fire Odor Removal? Whether fire damage affects a small or large part of your home, SERVPRO can help both remediate and remove odors. Call right away. Flames from a fire in your home are not the only damage done. 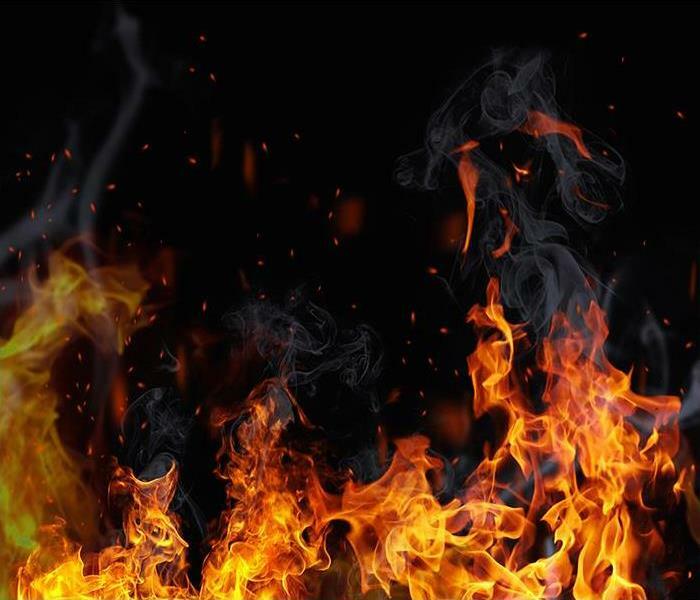 Water to put out the fire, soot and smoke leave a residue throughout the burn area and you will most likely need fire odor removal to get rid of all traces of the fire even after the visible signs have been wiped away. The cleanup after the fact is a multi-level process that needs to be done thoroughly to avoid secondary damage such as mold. When SERVPRO comes to your home, they will first ascertain the area is completely dry and no moisture remains. Once we determine the scope of the actual spread of the smoke and residue from the fire, our technicians choose the best method of odor removal in Cocoa that applies to your unique situation. After the technicians have cleaned up the visible soot and smoke residues left by the fire, the real process removing unpleasant odors left by not only the fire but wet home structures and furnishings can begin. In some cases, odors can be eliminated by simply using professional-grade cleaners to completely remove residues and odors by hand. 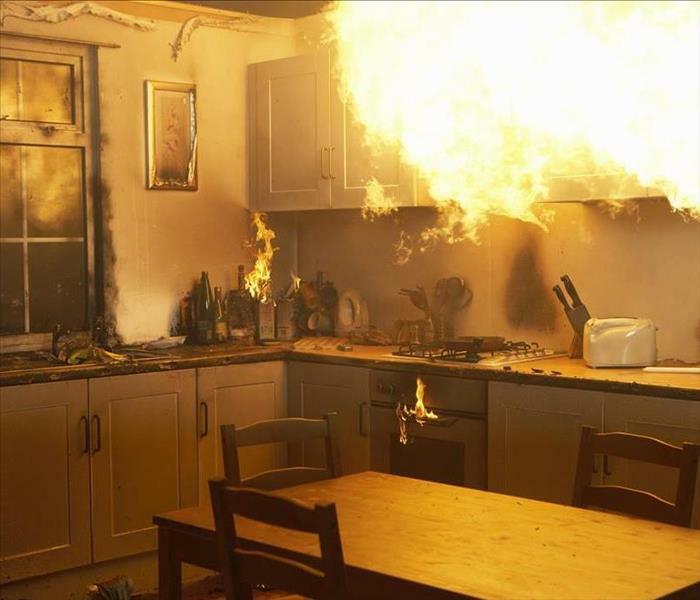 If the smoke penetrated deeply into walls, floors and furnishings, other methods can be employed such as deodorizing pellets or gel. For the strongest odors, we use thermal foggers that deliver a deodorizing, high-temperature fog that goes anywhere the smoke went and overtakes it, removing the unpleasant odors left in the home. This method is especially effective for treating porous items such as drywall carpet and also fabric covered home furnishings. No matter how strong the odors are in your home, our certified technicians have the knowledge and tools to return your home to its preloss condition. Contact SERVPRO of Central Brevard for quick and efficient fire odor removal from your home. Our experienced technicians are on hand to assist you 24/7, just call (321) 638-4947 to get started immediately. Click here for more information about the city of Cocoa. Contacting SERVPRO when facing water damage after a storm is a great decision towards drying out your home and preventing mold from setting in. Your Cocoa home assuredly requires preventative maintenance to prevent disasters from happening. While you might be able to prepare for circumstances like severe weather adequately, what you cannot always account for is the degradation and failure of appliances in your home. While these machines are essential to a convenient and comfortable life, they can also be the source of significant water emergencies when they decide to break down or wear out. Happening upon water damage to your Cocoa home might seem overwhelming at first, but any disaster can get rectified in the right professional hands. Our experienced SERVPRO team has the tools and expertise to handle any level of water emergency you might endure in your home, and we work quickly to ensure that your home can get restored completely. From the moment that our team arrives at your home, we quickly work to determine not only the full extent of the present damage but also the source of the water to ensure that it has gotten successfully shut down. By having the water shut down, our crew can then focus exclusively on restoring the damage and preventing further lingering effects to the structural integrity of your home. Depending on the severity of the water damage, extraction efforts are sometimes necessary. While this does not always require a pump truck from our vehicle fleet, it does often involve a combination of portable pumps and wet vacuums. Once the pooled water heavily saturated areas have gotten extracted, our SERVPRO professionals can set their sights on drying the affected area thoroughly. This process also typically requires a combination of our equipment, utilizing both air movers and dehumidification equipment. While air movers focus on the lasting moisture present in surfaces and structural components of your home, dehumidification more often focuses on the moisture present in the air. The last thing that you want is to have water damage turning into mold growth from lingering moisture contacting naturally-occurring mold spores in the environment. Water damage can be stressful, but if you know whom to call, it can help to make the process easier to endure. If you want the team that works to restore your home quickly, and has the expertise and drive, you want SERVPRO of Central Brevard. You can reach our emergency response team professionals 24/7 by calling (321) 638-4947. For more information regarding Cocoa, click here. There are all kinds of disasters that can happen to your Merritt Island home at a moment's notice. On the other side of this coin, however, some damages can occur slowly over time without drawing much attention. While you might not notice something like fungal growth in its earliest stages, you can begin to see the signs and smells of its presence as it expands and thrives. This problem is not one that you should leave to get worse, as it continues to feed on the organic materials and contents of your home where the colonies are forming, causing significant damage. When you do find mold damage in your Merritt Island home, it can be overwhelming and leave you with a sense of uncertainty about how to resolve the issue. Finding the right professional restoration team can take a substantial burden off your shoulders and ensure that the job gets completed promptly and correctly. Too many times, homeowners rely on DIY methods that can be found on the internet that are ineffective to removing the entire growing organism, and leave them with a false sense of accomplishment. Before long the mold is back because it was never really removed in the first place. Our SERVPRO team of IICRC certified mold remediation specialists can assess the full scope of the damage to your home and get to work quickly by isolating the affected area. This process prevents the spread of active mold spores throughout your home while the colony removal and dehumidification efforts are underway. This critical step requires circulating air appliances (such as forced air heating and air conditioning) to get shut down until the restoration process gets completed. Most jobs are finished off with thorough spraying or fogging of an antimicrobial agent to the affected areas. Locating the source of the moisture that fed the mold spores initially can be a tricky component to remediation, but it is an essential step in our process. 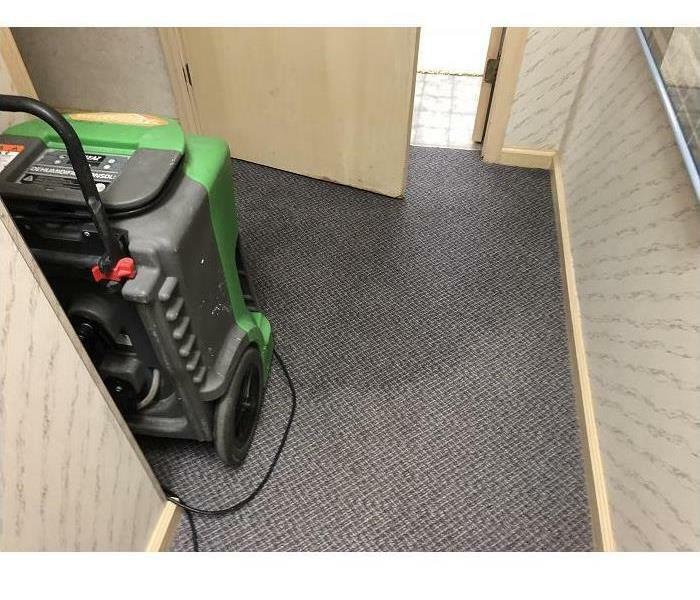 Our experienced SERVPRO professionals want to ensure that the problem does not reoccur, and locating the source of the dampness and repairing, or having it parceled out to another vendor for fixing, can help to prevent future growth. You do not have to deal with mold damage by yourself. Trust the IICRC certified specialists at SERVPRO of Central Brevard. You can reach our emergency response team anytime by calling (321) 638-4947. Yes, the Kennedy Space Center is here. If not contained, overflowing toilets can spread damage beyond the bathroom. In a world without any issues, your toilet in your Merritt Island home would never leak. However, it is not a perfect world, and toilets do leak sometimes. When they do, it is not pretty, and it can cost you quite a bit in damages. In case of an emergency like this, you need to know what to do and how to react. Water damage to your Merritt Island home from an overflowing toilet can be a lot worse than you might think. 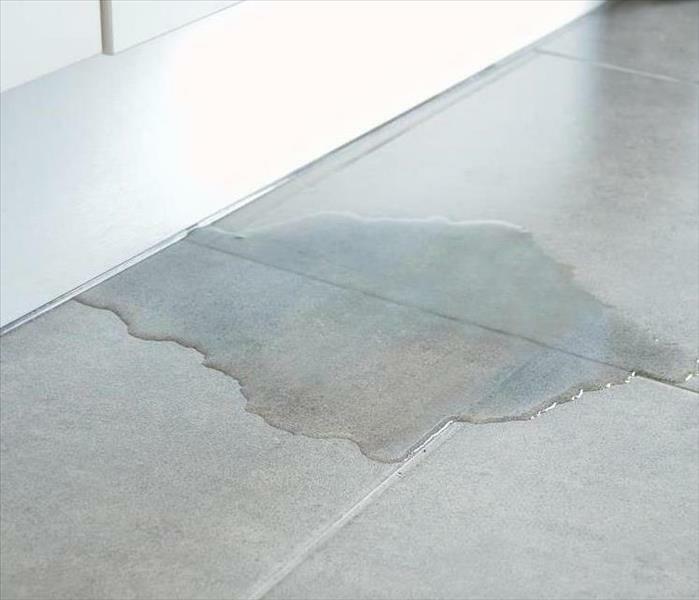 Depending on how much water lets loose in your home and how long it sits, you can be looking at damage to your flooring and the ceiling underneath if it is an upstairs bathroom. 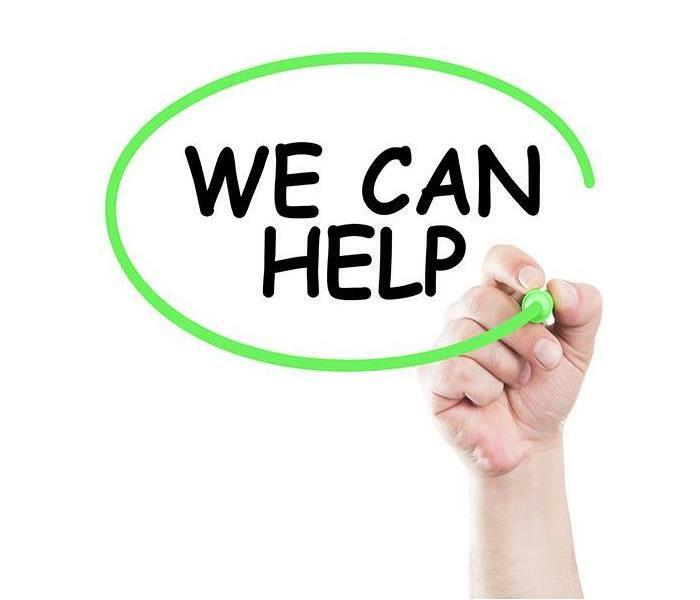 You need the assistance of a professional remediation company right away, which is why SERVPRO is always standing by. Hopefully, you have at least been able to stop the flow of water before we arrive. Turning the water off at its source should be your first step. You can usually find the knob on the wall near the base of the toilet, under the tank. If your toilet isn’t overflowing due to a blockage, it might be that you need to adjust the float. Raise or lower it until reaching the right bowl fill level. If your toilet is clogged, do not flush it again, as this can create more water to overflow. After stopping the flow of water, you can try using a plunger to loosen the clog. Once removing standing water, SERVPRO staff use moisture meters and thermal imaging cameras to check for damage done to flooring, subflooring, and the ceiling underneath. Finding all hidden moisture helps us to thoroughly dry and restore the damage done to your home by the overflow. We do not want to leave any behind, as that can continue to create additional damage, such as mold growth and weakening of your structure. SERVPRO of Central Brevard understands that a water damage emergency of any kind in your home in Sharpes, Rockledge, or Cocoa Beach needs immediate attention. Get in touch with us right away by dialing (321) 638-4947 so we can prevent further issues caused by the water now sitting in your home. Read more about the Merritt Island National Wildlife Refuge here. How Do You Tackle the Overwhelming Job of Fire Damage Remediation in Your Merritt Island Home? There are so many obstacles that come into your path after dealing with fire damage. Let SERVPRO help you make life easier. For most homeowners, the role of first responders and general contractors are clear cut during a restoration procedure. In between those two roles is the restorer, whose job it is to bridge the gap between firefighters and third-party remodelers. It is an essential part of the regeneration of your home which could save you unnecessary expenses and limit further damages after a fire. A property with fire damage in Merritt Island is first treated to firefighting procedures. It is then the role of a restorer, like SERVPRO, to mitigate against losses and create a safe environment for third-parties or contractors to enter. As well as limiting potential damages that have been caused by fire and firefighting efforts, professional restoration technicians prepare the site so that crucial remediation can start. One of the first jobs of a SERVPRO technician is to conduct a visual inspection. Any potential hazards like loose electrics or weak structure need to be cordoned off. Debris must be removed as well as securing the property by boarding up broken windows or cavities in the exterior structure. Bringing in generators is also vital to ensuring remodeling work can be completed in as little time as possible. We can also conduct initial cleaning procedures in your home before remodeling. Sometimes, cleaning surfaces can prevent soots from setting and causing permanent damages. Equally, water residues used during firefighting procedures can quickly become hotbeds for mold or mildew growth. Remedying these areas can help to guard against permanent losses in the short-time between firefighting and full restoration. Where areas of the home are deemed to be inhabitable for homeowners while restoration is completed, SERVPRO can thoroughly deodorize the area. Bringing in water-based thermal foggers is a solution to smoke and soot odors that do not damage your indoor air quality. Using our training, we can significantly reduce the likelihood of permanent damages and increase the chances of getting your home back to preloss conditions. After a property emergency, contact SERVPRO of Central Brevard at (321) 638-4947 to guard against permanent losses. Click here for more about Merritt Island. 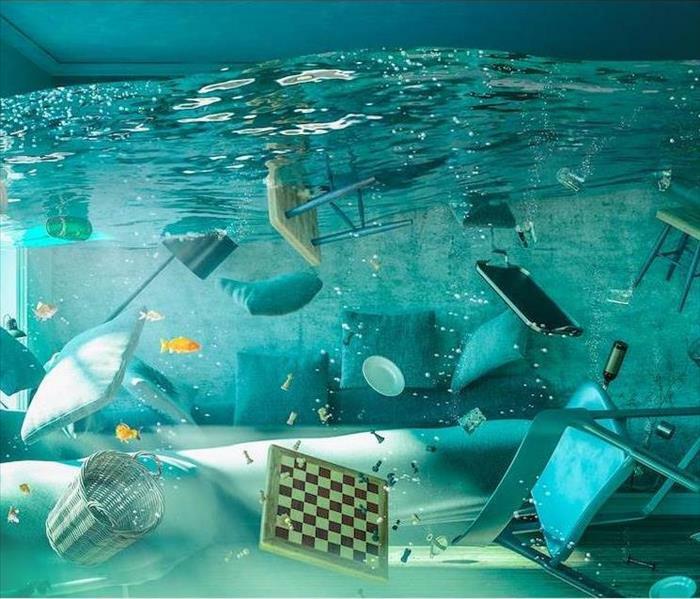 When your belongings are swallowed up by a flood, call SERVPRO to help navigate this dangerous situation. One of the most dangerous threats from flood damage in Merritt Island comes from black water flooding. While all floods have the potential to cause harm to you and your household, you should be particularly cautious around any flood involving black water. We use the term black water to describe any floodwaters that are so murky and filled with contaminants that you cannot see more than a little bit into them. This post should help you to understand some of the dangers associated with this type of flooding and why you should let experienced SERVPRO technicians handle any work that involves navigating through these waters. While we could spend an entire article talking about the many different things that can contaminate black water, instead, you should understand that these waters are one of the least predictable parts of the flood damage restoration process in Merritt Island, even for our most experienced crews. There is no telling what could lurk in those waters, and some, such as mold and other microorganisms, can cause health effects. Staying out of the water is the only surefire way to make sure that none of its contaminants reach you. Some of the objects and debris contained within the murky depths of black water floods can have sharp edges that can cut through skin and fabric alike. Heavy duty work boots and gloves are the only way to prevent jagged metal, glass, and ceramics from piercing through the skin and potentially creating an open wound exposed to the filthy waters around you. Wading through black water is dangerous even with protective clothing on because there may be a high risk of tripping over unseen objects and slippery surfaces, plunging you down into the water. Less than an inch of water can still pose a drowning hazard, and even if you can get back up, you never want black water near your eyes, nose, or mouth. To stay safe, let SERVPRO navigate these waters for you. SERVPRO of Central Brevard can help you to deal with flood damage in your home whenever and wherever it may strike. Call us as soon as possible after a disaster at (321) 638-4947. Let our experts restore your home after a fire. We have the right equipment to handle any damage and we are available 24/7 so call us day or night. Experiencing a fire in your Merritt Island home can be one of the most unsettling and destructive events you have ever gone through. When a fire does occur, you need the help of professional restoration experts as soon as the fire is out to help you restore and clean your home. There is a full range of services they use to get your home back to the way it was. Restoring your home in Merritt Island from fire damage is a task that SERVPRO staff can take on for you. We are expertly trained on all procedures and equipment so that we can get the job done in a timely and efficient manner, making it easy to see why SERVPRO is the perfect choice for fire damage restoration. A fast response is needed to prevent your home from suffering additional damage from acidic smoke and soot that is left behind after a fire. You could also have inclement weather coming inside your house through holes in the roof. That is why after we assess the damage, SERVPRO tech’s priority is to tarp up any openings in your home to protect it until we can get the cleanup and restoration done. Our first job after this is to clean up all the smoke, soot and dust from the surfaces of your home. 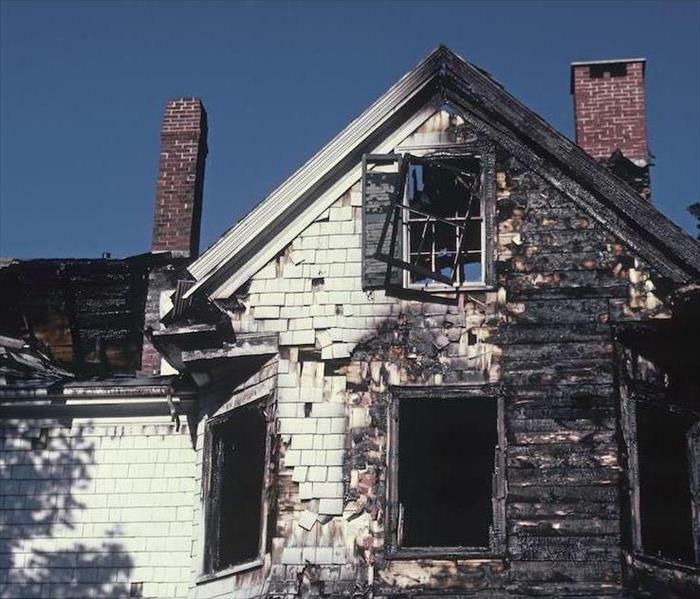 After a fire, your property probably looks stained, dark, and charred. It is our job to clean this up and get your home looking like normal again. If there is any water damage done from firefighting efforts, then we take care of that at this stage, too. We also work to get rid of any lingering odors which are there from the smoke. Even adjacent rooms that were not effected by fire damage need this step of the restoration process since the smoke and soot can travel through walls. The final part of the process is to remove and dispose of any items or structural elements which are too severely damaged for us to repair. Sometimes, furniture can absorb too much contaminated water, or carpeting can be badly burned. In these cases, it is better to throw these things away and replace them with new items. SERVPRO of Central Brevard takes special care with your home in Rockledge, Cocoa, or Viera after it is damaged from a fire. Give us a call at (321) 638-4947 as soon as the fire is out so we can help you get back to life as usual. Grab some friends and family and enjoy a trip to the zoo click here for more information. Fire damage in your garage is a situation that can be turned around with a single phone call to (321) 638-4947 and talk to an expert 24-hours a day. Fire is opportunistic. In the case of your garage, something as innocent as failing to store common combustible solvents, fertilizers and cleaning products can lead to a blaze. Other common items that need special attention when storing are oil, gas, and paints. Many of these products have VOCs (volatile organic compounds) that discharge vapors and can ignite when stored improperly resulting in fire damage. This Merritt Island attached garage fire, fortunately, was localized and contained without spreading to the rest of the home. SERVPRO technicians put up barriers to contain the residual smoke odor from spreading to the rest of the home during the cleaning process. 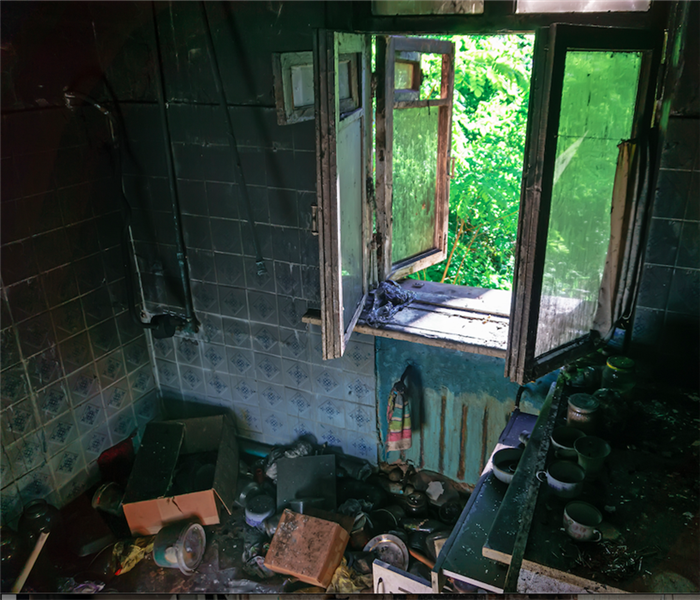 Because solvents and cleaners burn quickly and at high temperatures and are often in plastic bottles, they leave a wet, smeary residue that needs to be cleaned with wet cleaning techniques to completely lift all traces of the smoke and soot left by the fire on walls, ceilings, floors, and salvageable items. Fire damage in your garage is a situation that can be turned around with a single phone call to (321) 638-4947 and talk to an expert 24-hours a day. SERVPRO of Central Brevard is local, and our technicians understand that special challenges of dealing with the unique climate conditions of this area of Florida. 4/8/2019 - When Your Cape Canaveral Diner Is Hit With Flooding, Our Crew Is Here To Help! 4/7/2019 - Where to Start With Cocoa Fire Odor Removal? 3/12/2019 - How Do You Tackle the Overwhelming Job of Fire Damage Remediation in Your Merritt Island Home?